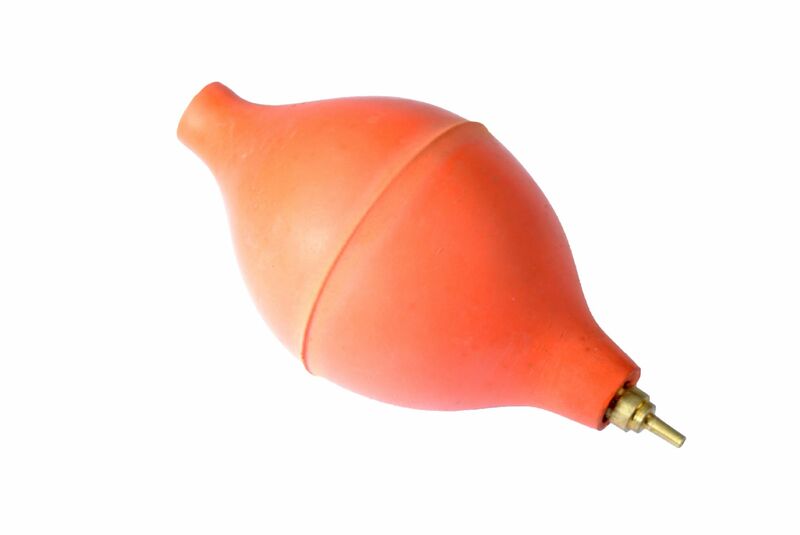 A rubber puffer dust blower. Fitted with metal nozzle and one way valve. Perfect for lens cleaning, blowing dust from watches and jewellery.